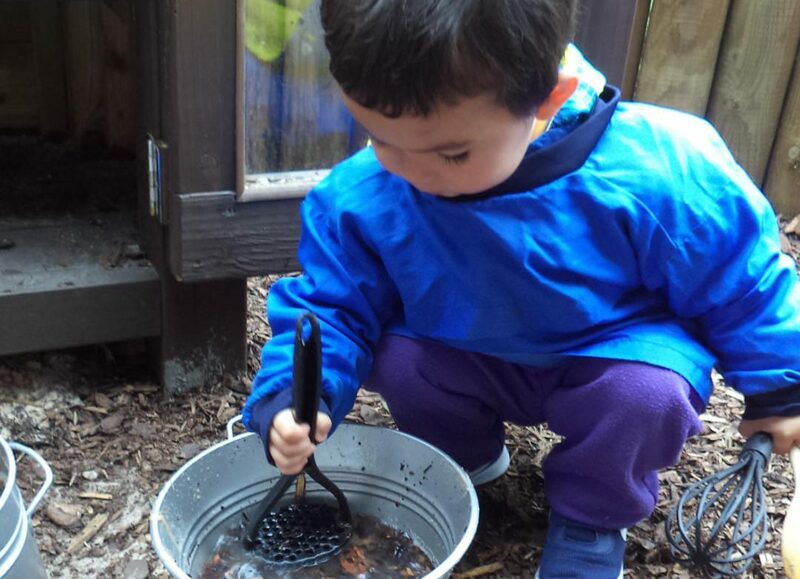 The Nursery children recently enjoyed an afternoon in our fabulous outside classroom. Whilst the older children ‘painted’ their names using water and used whatever they could find laying around to make their initials the younger children thoroughly enjoyed themselves making ‘delicious’ mud pies using the outside kitchen. Yum!